Whitewater SUP-ing in the shoulder seasons of Colorado is for the devout paddler. Water temperatures in the low 40s, crisp mountain winds and a shorter sunlight window makes you second guess the possibility of falling in. This mission to paddle rapids of the Colorado River was hosted in the venue of 12.5-mile long Glenwood Canyon with walls stretching up 1,500 ft. Specifically the team launched at the Shoshone put-in and took out at Grizzly. The Shoshone to Grizzly location has become the dojo for SUP paddlers looking to cut their whitewater teeth in lower flows, also testing the best of traveling pros in full run-off. The rapids are nearly perfectly placed with pool drop opportunities to clean up at the bottom if you decide to join the CO River swim team. Our team lapped this stretch while exploring lines through the rapids each time. Some successes were noted; some failures left us thanking the protective gear we had in place. Take a look below for our favorites. Badfish SUP’s MVP (Mountain Valley Paddleboard) is not a new board to the market, widely due to the whitewater board’s game-changing design. The market for whitewater boards went from zero-to-ninety when this board hit. The designer, Zack Hughes of Badfish, pursued perfection creating this whitewater board, and nothing has come close at this point to match its performance. Features include a kayak-style chine on the nose of the board that allows you to punch holes, grease wave trains and displace breaking water over the board. The recessed deck brings your feet placement closer to the water allowing increased initial stability, while the initial and secondary rails allow for an unparalleled secondary stability, thus allowing the paddler to easily recover and continue the rapid on their feet. The tail of the board thins out slightly, creating a playful tail to slice in and out of eddy turns. For you landlocked surfers, the tail design allows you to whip this board around on a river wave and catch some surfing time to feed the need until your next coastal mission. Navigating rapids requires quick, precise placement of the paddle All the while, the paddle must endure a beating against the typical dynamite-blasted chunks of granite rocks lining the river, as is common in Colorado. Lightweight and bomber construction is the industry-driven standard that continues to evolve in different recreational facets. 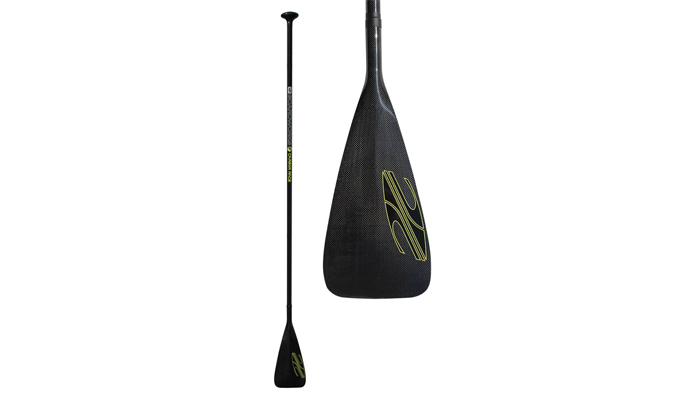 While Boardworks designed this paddle for race applications, it’s been testers’ go-to for all paddling styles – river SUP included. The full carbon construction keeps this paddle featherweight, and the ABS edge insert keeps the blade watertight against any granite abuse. Have you ever experienced a piece of gear that makes you feel instantly better the moment you put it on? That’s the feeling of slipping into this Class V rescue PFD, the Astral GreenJacket. 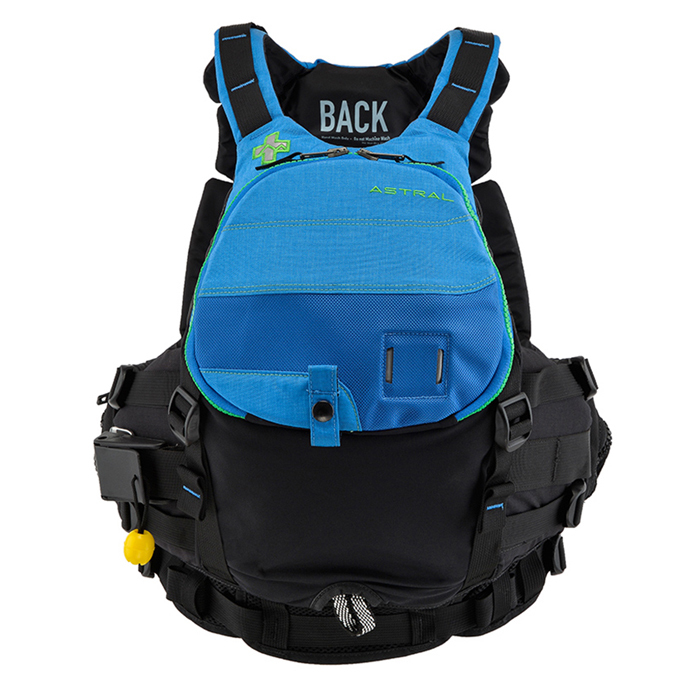 This well finished product forms to your torso with innovative securing straps, and conforms to the body while allowing an ideal amount of movement and comfort. The GreenJacket is built with features for an expeditionary paddler while giving an outstanding fit for everyday paddling. The Techtonics system on this rescue vest keeps it from riding up on the paddler’s torso, which can result in arm-chaffing. 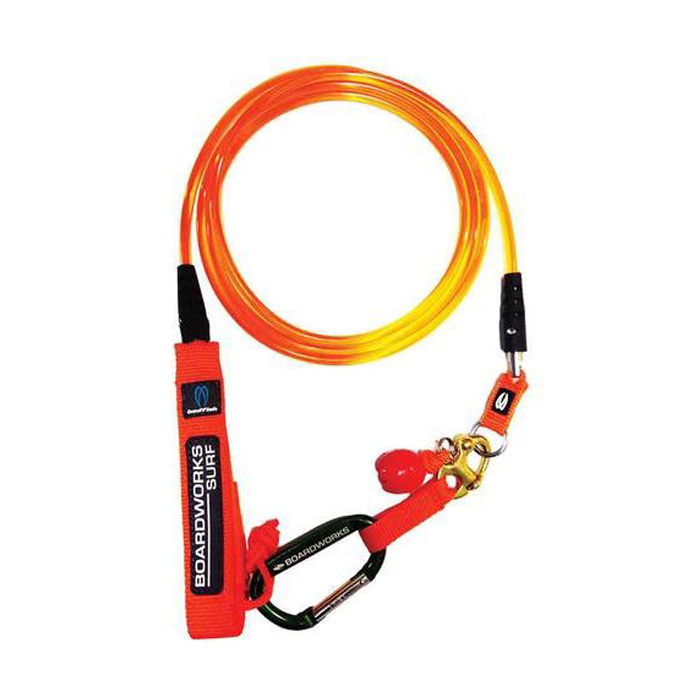 Pair this PFD vest with the internally stowed throw rope and side mounted web toe and you have the base foundation of a rescue system set in place. 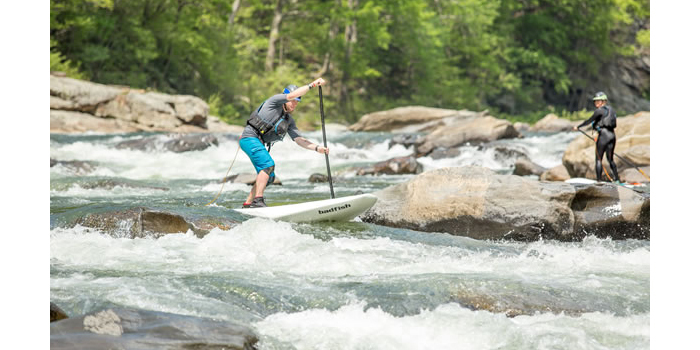 Having leashes in the river has been debated since boards made their way into the Rockies – a well deserved debate that has driven manufacturers in the whitewater SUP niche to build safe and user friendly options. The only absolute is if you decide to wear one, it never is attached to your body but rather a releasable piece attaches to your gear (like a PFD). If you fall off, you can use the leash to pull the board toward you and climb back on. But the leash also has the potential to drag you along with the board. However, the other option is swimming down rapids, chasing the board in that cold environment. If you decide on a leash after weighing the risk vs reward, the Badfish Re-Leash system could be your go-to. While the gear that keeps you dry is incredibly important, a commonly overlooked category is your layering system underneath that gear. 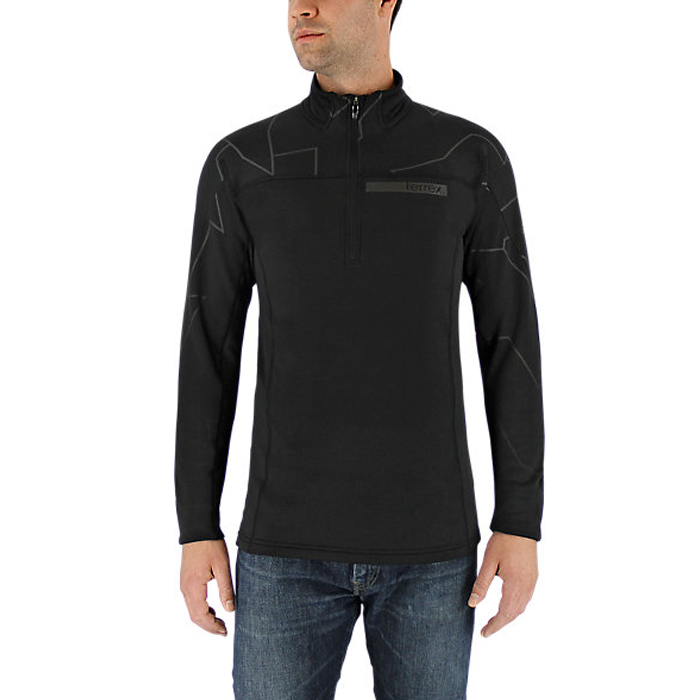 Thermoregulation and breathability are critical factors for performance base layers. The Icesky II from Adidas Outdoors captures those characteristics in its construction, including elastic yarn to allow for greater ease of moment. That is a perfect trifecta for river SUP paddling. With water temps in the 40s and air temps in a similar range, this piece handled the task of warmth for a full day of paddling. The interior grid-like system of densely woven fibers excelled in performance and was incredibly comfortable on the skin. The Icesky II wicks moisture from the skin in order for the Gore-Tex drysuit to breathe – a thermoregulation success.